Conservation is very important to sustain the sport we all love, BUT it goes beyond catch and release. Spawning habitats get destroyed, rivers get dammed or silt filled, or people act like that the bank is the same as a garbage can. With all the time and efforts that anglers put into mastering the sport they love, conservation efforts can often take a back seat. Now with Seam Fishing you can get a custom rod’s and fishing apparel while supporting conservation efforts at the same time. To add to that, they have a blog that is both entertaining and informative. From fishing tips to conservation concepts to fly patterns, the blog is a great resource for the river angler. I got to talk to Braden and Josh from Seam Fishing about what they have going on and where they plan on taking it. L2F – You guys focus on bringing awareness to conservation efforts and sell fishing products with proceeds going towards the conservation group of the anglers choice, how did this idea come up? SEAM – Initially we were looking at an “apparel for the cause” model. The idea was to partner with local and national conservation groups to develop graphic apparel with proceeds going to the “cause” that was featured on the piece of clothing. We didn’t see a lot of traction with this idea – but we don’t think it’s dead. We are still actively seeking conservation groups to partner with to move the idea forward. Keeping conservation in mind, we decided to focus more on custom rods and components. This is something that we are both passionate about, but at the end of the day you can only use so many rods. With our personal supplies getting ridiculous, we decided it was time to start letting some go. 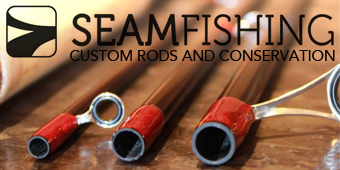 Custom rods give anglers a chance to show their personal style, both in a cosmetic and functional sense. Factory rods are great but there is nothing like a rod that is fitted to your own needs. L2F – Where did the idea of allowing the customer to choose the beneficiary come up? SEAM – It came from the original idea I just mentioned – instead of the customer buying a product to support a defined cause we thought why not let the customer choose the organization they want to support. L2F – What has been the response from that? SEAM – The response from anglers through social media such as Twitter has been great! Surprisingly though, we have not received the response we expected from the angler and conservation groups that we want to help. We’re still working on that piece – we really believe that most anglers want to support their fisheries and we’d love to help them do it. L2F – Where did the name SEAM Fishing come from? SEAM – Since the original plan was (and to an extent still is) performance angling apparel it was a reference to a seam in the stitching sense. At the same time it’s a bit of a play on words – as river anglers we’re always on the lookout for a good seam between two currents, that’s where the big boys hide. For the angler who knows exactly what they want we will work with you every step of the way – you make the decisions; we just put it all together. For anglers who want a tool to perform a specific task, but aren’t sure about the technical and cosmetic characteristics we will choose the components and design the rod from the ground up. 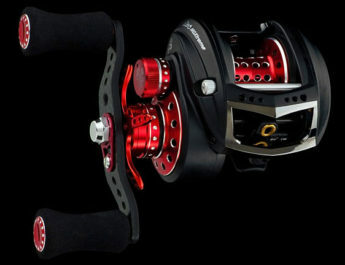 This option is perfect for people who are looking for a great gift for the angler in their life. We build on Batson Enterprises blanks whenever possible, these are some of the best blanks on the market and their excellent pricing allows us to offer a custom rod option without breaking the bank. Of course if the angler wants a specific blank we will build on any brand we can get our hands on. We’re both young, and can’t claim 30+ years of experience like many builders out there but we see this as an advantage rather than a disadvantage. We’re always looking out for the newest techniques and technologies to improve our rods. Our goal is not only to deliver a high-performance rod with fit & finish you just can’t find on a factory stick, but also to allow the angler to experience the build from start to finish through pictures, videos, and social media updates. We have several builds on the go right now – if anyone wants to see how the process works we post updates on each project on our twitter and instagram feeds. L2F – How long does an average build take? SEAM – It’s hard to define an “average” build. Some are simple – you can knock off a basic bass rod in 3 or 4 hours not counting waiting time. On the other hand I just finished a spey build for a customer that required a full strip down of the factory paint and then a re-coating. All in, I probably have close to 20 hours in this rod. If I was doing this strictly for profits, that job never would have been done but I love building rods and learned a lot from that one. L2F – What is one of the most memorable rod builds you can think of? SEAM – Every build is different, and that’s what makes it so much fun. We’re not here to pretend that we have 30 years of experience and 1000’s of rods under our belt, but between us we have created quite a few. Personally my most memorable build is one that I did for myself – a 12’6”, 6wt spey rod in burgundy with candy apple red wraps. Aside from being quite attractive, it is an absolute pleasure to cast. Josh recently turned out a really nice spey conversion float rod on the same blank, he’s been laying a beating on the steelhead with it and I think it’s safe to say that’s his favorite so far. If I can add one more, I’d have to go with a 14’ 7/8wt spey rod that is being delivered this week – neon green wraps on a natural graphite blank. That one is going to stand out on the riverbank. L2F – anything special you guys do that set the final product apart from other custom? SEAM – It’s no secret that there are a million custom builders out there. Each has their own signature qualities – some turn out extremely detailed pieces, while others specialize in the technical aspect. We want our customers to know exactly what’s going on, and how it’s happening. When you purchase a rod from us, you will receive consistent updates like pictures and videos via social media, email, and phone so you can follow along with the process. The best part of building a rod is watching it transform from a pile of cork and graphite into a functional object – we want to make sure the angler gets to experience that. L2F – Tell us a bit about your blog. SEAM – There are two of us – I (Braden) do most of the blogging and web content, and Josh contributes when he isn’t engineering custom components or wrapping guides like a madman. To assist with driving web traffic to conservation efforts across the country. Many of our posts feature great people who are doing great work to ensure the sustainability of our fisheries. After all, one of our main goals is to provide exposure to the people who are working hard every day to clean up lakes and rivers, operate hatcheries, or even simply drag a bag of garbage home from the local fishing hole. To provide the fishing community with useful content such as how-to’s, fly tying patterns, and awesome media. You’ll notice there are a lot of spey videos on the blog lately; we’re on a bit of a spey kick right now. L2F – What are some of the conservation efforts that are close to you? SEAM – We’re just getting started, so we can’t stake a claim to anything of our own just yet. 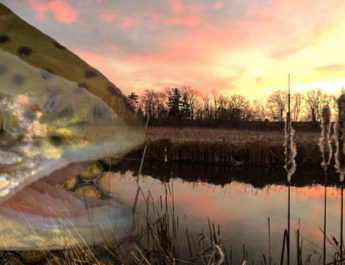 A few groups that we have featured on our Organizations page are: Flies4Fins, Ontario Steelheaders, and the Credit River Anglers Association. These groups are doing awesome work, and deserve to be recognized. We’re also huge fans of the guys that quietly pack a garbage bag with them and haul out junk from wherever they fish. For example there is someone who’s been tying garbage bags up at popular spots on local rivers in the Toronto area – such a simple thing, but it really makes a difference. We have a few ideas on the drawing board for clean-ups in the local area, more information on that as it comes together. L2F – Anything special lined up for the spring? SEAM – We have a few ideas in the pipeline – the most likely of which being a semi-custom line of bass rods. Hand built, high quality, low (very low) production run. The fly and float fishing communities have embraced the custom rod, and we think that Canadian bass anglers would appreciate the same high performance and aesthetic quality. We don’t want to give too much away just yet, because it might just be a dream at this point. We’ll make sure that you get the scoop first if we get things going. What we will say is that we are making an order right now for the components for two “prototypes” – one spinning and one casting. We’ll make sure to give them a thorough thrashing before unleashing them for sale. As with all of our products, anglers who buy these rods will choose the cause they wish to support through a donation of part of the profits. 9 February, 2013 L2F Comments Off on Abu Garcia breaks the mould once again!